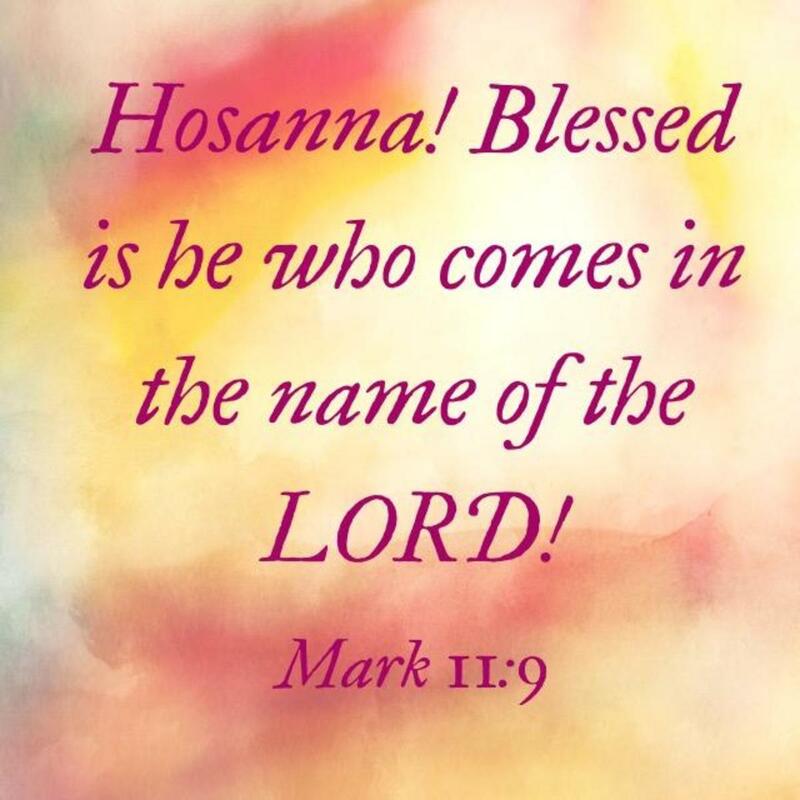 Starting at the top of the Mount of Olives, walking down Palm Sunday Road, and ending at the Eastern Gate, the path that Jesus took his last days in Israel is a spiritual journey for many tourists. 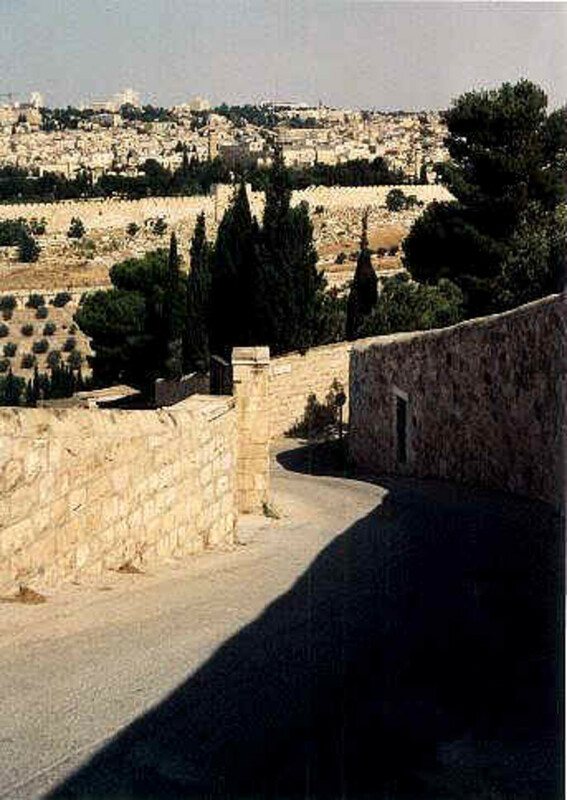 It was on this road that Jesus road a donkey to the Temple Mount, and was later to be sacrificed on the Mount of Olives four days later. The sheer majesty and beauty of the Dome of the Rock and the Old City before you as you walk is breath taking. If you tour Jerusalem on your own, tell a taxi to take you to the Seven Arches Hotel. This trip in a taxi, can cost about 15 shekels (about $3.75) from the Hebrew University or French Hill and double the price from the City Center. Once you are in the parking lot of the Seven Arches Hotel, you will be able to see, pet, and even ride a camel. But, be careful because even taking a picture with the camel can and will cost you! 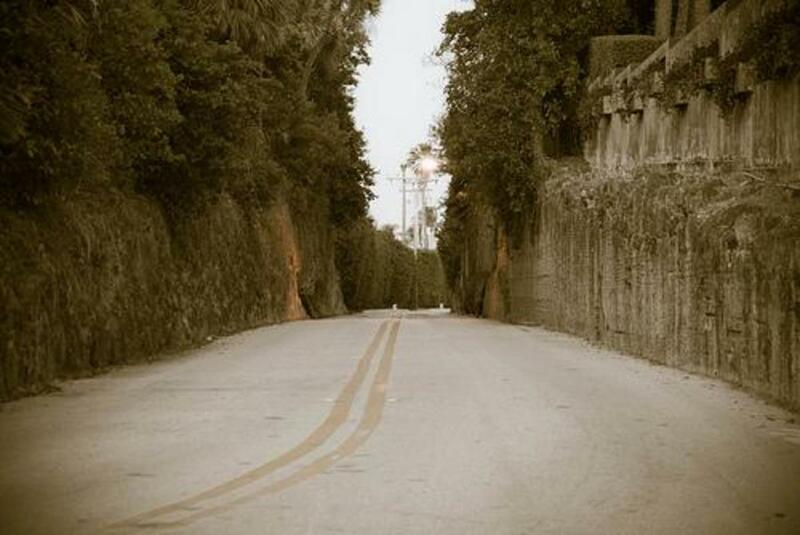 You can now begin your walking tour down Palm Sunday Road. The road is very steep and narrow, so wear good walking shoes with a good rubber grip. As it continues downward, your tour will end with the Tomb of the Virgin Mary on your right and the Church of All Nations on your left. The Church of all Nations is easily recognizable because a main street intersects in front of it. If you wish to continue your journey from here to the Old City, you can cross the street and follow a footpath that will lead to stairs on your right. Once you reach the top of these you will continue up towards the gates of the Old City. The Southern Wall of the Temple Mount will be on your right, and the first gate you will come to will be the Dung gate. When you enter here, it will lead to a plaza with the Western Wall on the right. If you continue walking straight, you can enter the Jewish Quarter by means of the stairs on your left. You have now walked Palm Sunday Road. Congratulations! That is not an easy feat! 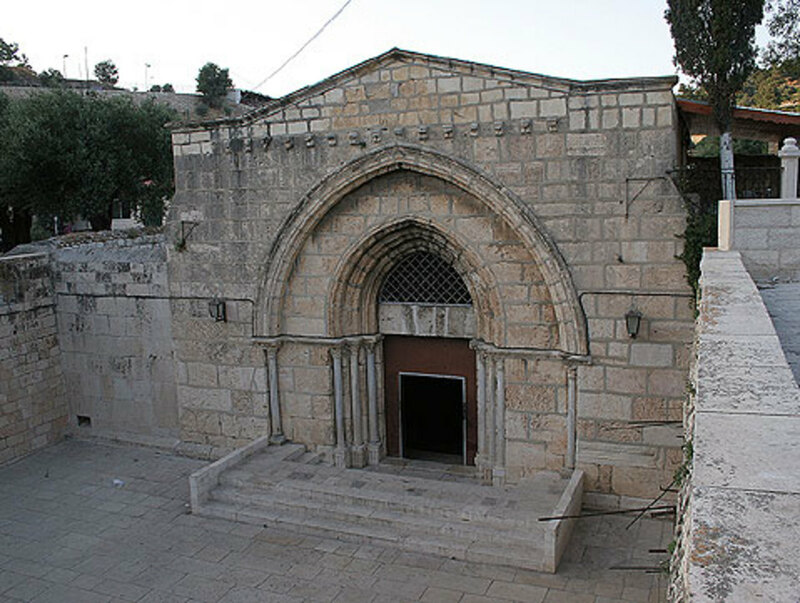 Tomb of the Prophets: Beginning at the top of the Mount of Olives is the Tomb of the prophets. According to Jewish tradition this is the location of where the prophets Haggai, Zechariah, and Malachi are buried. 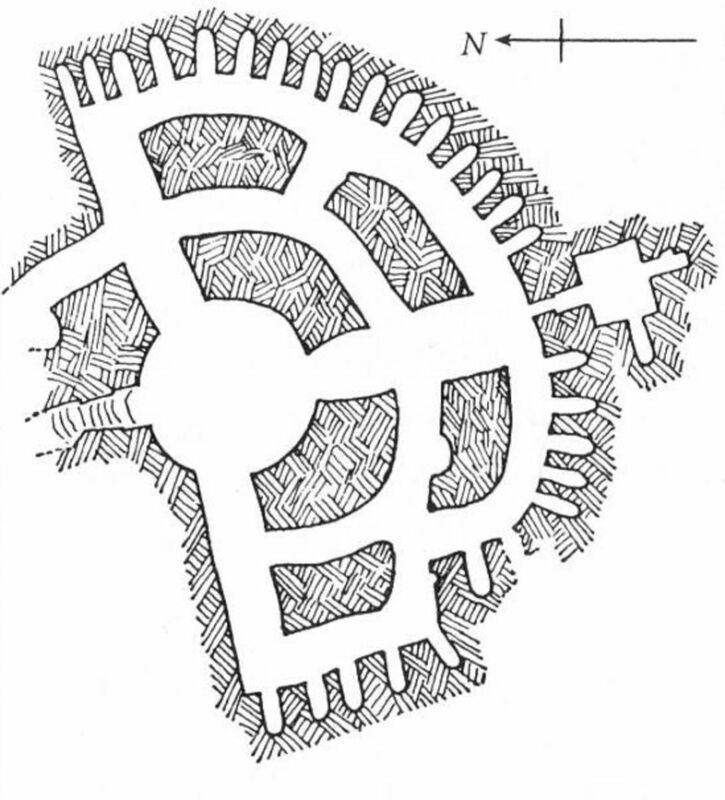 However, the tombs are actually catacombs which came into use around 1st century B.C. There are inscriptions above the tombs that show the tombs were for foreign Christians in the 4th and 5th century A.D. When you visit this holy site, take a flashlight as the area is small, dark, and can be claustrophobic. It is open Monday through Friday from 9:00 a.m. till 3:30 p.m. Admission is free though donations are appreciated as a Priest or monk will give you a tour. Church of Dominus Flevit: Situated between the Tomb of Prophets and the Church of Mary Magdalene sits the Franciscan Church of Dominus Flevit or The Lord Wept. As it is believed this is the location of where Jesus wept, the church is designed in the shape of a teardrop. It was built in 1955 by the Italian architect Anton Barluzzi. While a fairly new church, the site it sites on is ancient, dating back to the Canaanite period. When building the church (and like most all building in Israel), artifacts, or tombs in this instance, were unearthed. This church has an amazing view and promenade of the Old City of Jerusalem. It is open daily from 8:00 a.m. to 12:00 p.m. and then from 2:30 p.m. till 5:00 p.m. Admission is free and donations are accepted. 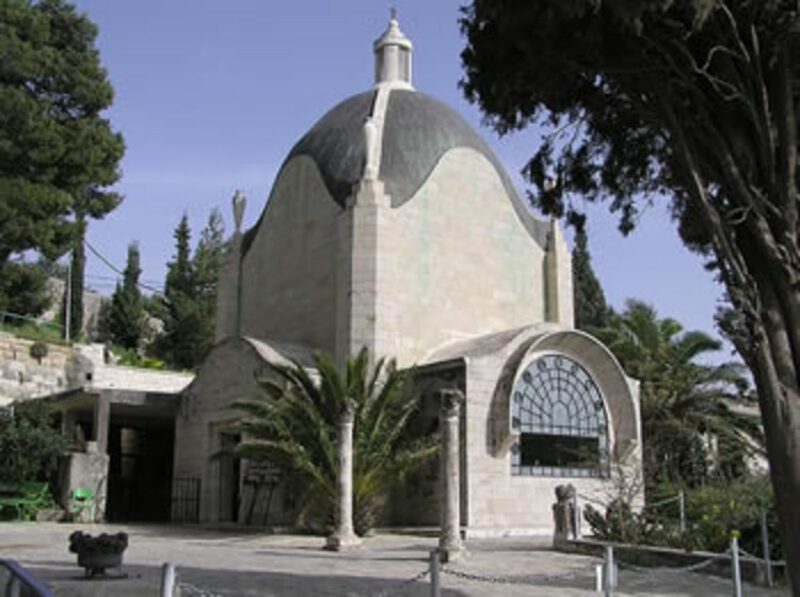 Convent of Saint Mary Magdalene: One of the most recognizable structures in Jerusalem, due to its golden, onion shaped domes or cupolas, the Convent of Saint Mary Magdalene is located between the Church of Dominus Flevit and the Garden of Gethsemane. Built by Czar Alexander III in 1885, it is cognizant of the Russian Muscovite architecture. Even though it is in need of massive repairs, it is still a beautiful church. 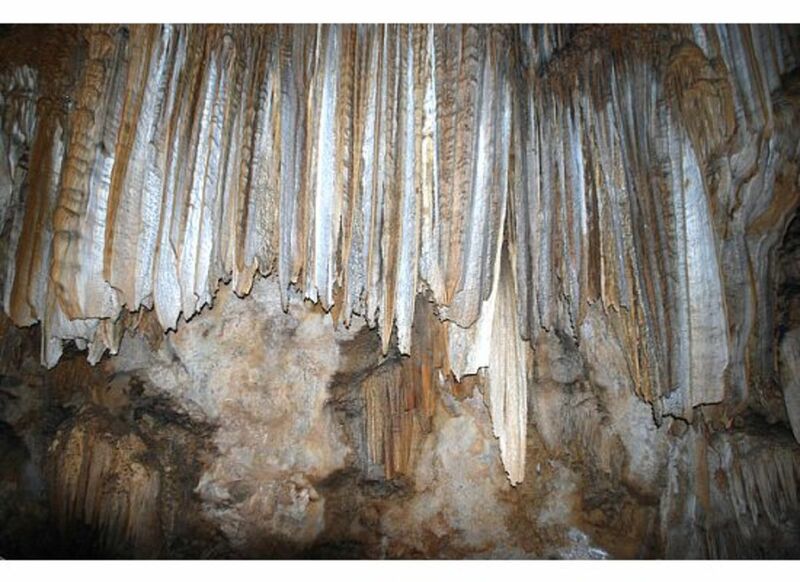 It is open to the public on Tuesday and Thursday from 10:00 to 11:30 a.m., where you can here its outstanding choir. Admission is free and donations are accepted. Church of All Nations: The Church of All Nations, also known as the Church of Agony, was given this name due to the fact that it was funded by 12 different countries in its building. The church is extremely beautiful on the inside. 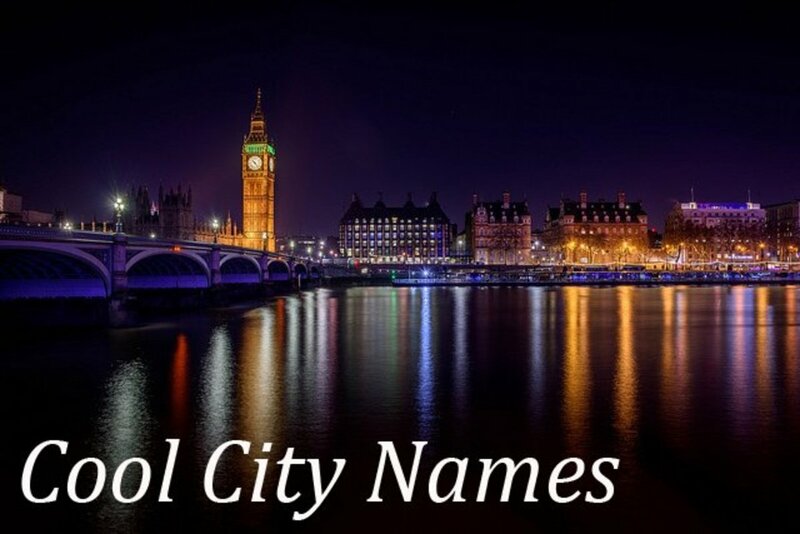 There are 12 cupolas representing the 12 countries who funded the church. The architecture is Byzantine in style. 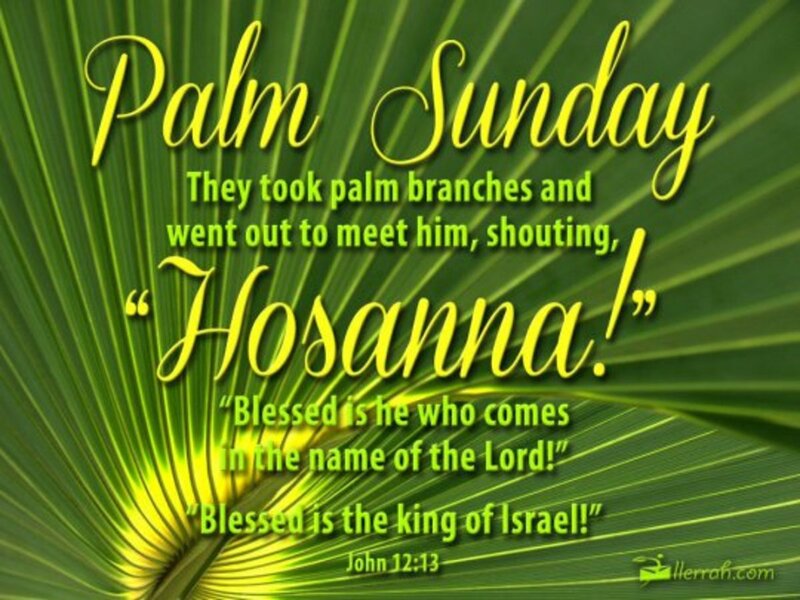 It is the last church of Palm Sunday Road; therefore, and is connected with the Garden of Gethsemane. 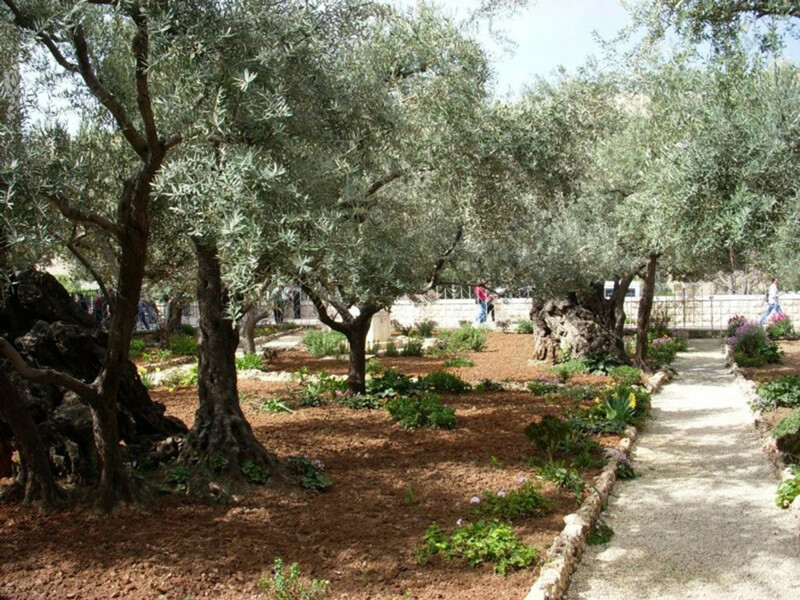 This garden is where Jesus spent his last hours in prayer before allowing himself to be sacrificed. The Church of All Nations has Olive trees that date back 2,000 years. When visiting the church, it is possible to see a Franciscan mass in progress and to partake in communion. It is open Monday through Saturday from 8:00 a.m. till 12:00 p.m and then from 2:00 p.m. till 5:30 p.m. Admission is free and donations are accepted. 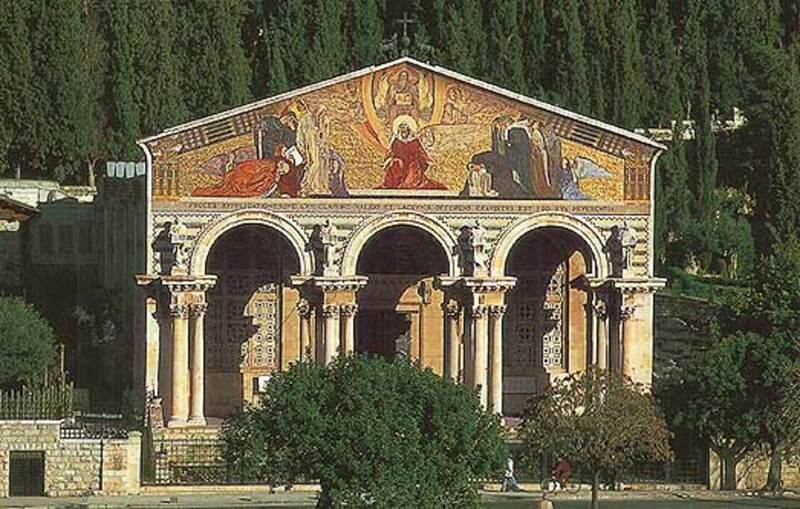 Tomb of the Virgin Mary: When looking at the Church of All Nations, the Tomb of the Virgin Mary is on your left. After going down a flight of Stairs, you will come to a plaza. From here you can enter into the church and walk down more flights of stairs. The first church was built sometime in the 5th century, and was destroyed before the era of the Crusaders. The crusaders built a new church, which was then destroyed by Saladin circa 1187. However, the Muslims did not destroy the crypt in respect for the Mother Mary. Through the centuries the ownership passed from Muslims to Franciscans and finally to the Latins. It is open Monday through Saturday from 6:00 a.m. till 12:00 p.m. and from 2:30 p.m. till 5:00 p.m. Admission is free and donations are accepted. Tomb of the ancient prophets of the Old Testament. The place in which Jesus Christ suffered the Agony and was taken prisoner by the Romans. Church of All Nations in the Kidron Valley. Was built by 12 countries from around the world. 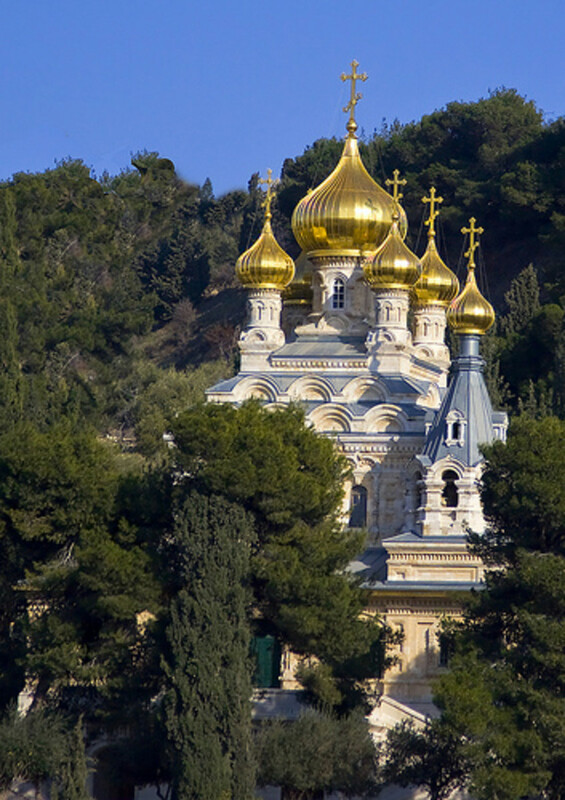 Russian Ecclesiastical Mission in Jerusalem of the Russian Orthodox Church Outside of Russia located in Jerusalem, Israel. The tomb of Mary in the Kidron Valley to the east of Jerusalem site of the burial of Our Lady and her Assumption into heaven. Dominus Flevit" the site where "The Lord Wept"
More Information on the Church and archeology discovered at this location. thanks! They are and getting on and off is a challenge...you have to learn to hold on tight!